What if I told you that you could get more energy and better sleep simply by changing your light bulbs? Such a simple fix may sound too good to be true. But it’s not. The problem is, most people are just unaware of it. Your body has a natural biological pattern that reacts to sunlight and darkness. This pattern is called the circadian rhythm. It’s essentially your sleep cycle. The circadian rhythm is responsible for making us tired at night and awake during the day. 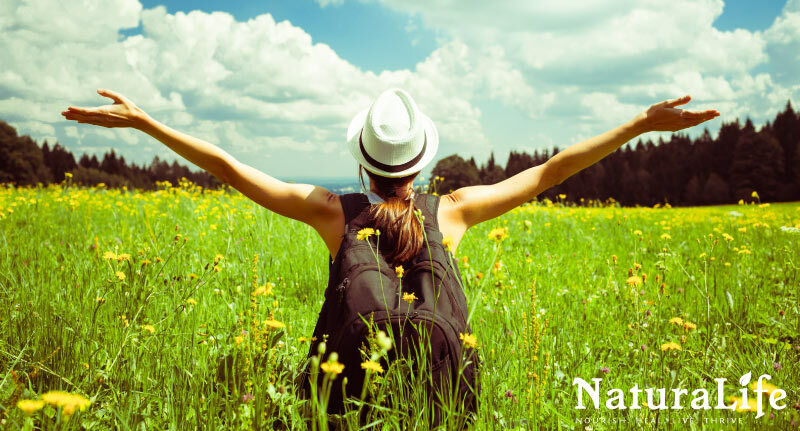 When your body is exposed to natural sunlight, hormones such as serotonin are released. This helps you get up in the morning and stay awake for the majority of your day. As it gets dark, your body begins to slowly release another hormone called melatonin which makes you sleepy. By knowing this, you can hack your circadian rhythm to get more energy throughout the day and sleep better at night! And it’s surprisingly really easy to do. Technology and modern living is wreaking havoc on your circadian rhythm. And this is all due to artificial lighting. Artificial lighting confuses your circadian rhythm. As a result, your sleep and energy levels suffer. And we are exposed to more artificial lighting than ever. Between room lighting, smart phones, T.Vs, and computers, we are constantly exposed to artificial lighting. Our body simply doesn’t know how to deal with it. The problem is, artificial lighting doesn’t cover the same spectrum as natural lighting and we use it late at night which sends mixed signals to our body. Even research has shown that exposure to artificial light at nighttime (like your phone or T.V) suppresses the production of melatonin. With that said, it’s no surprise that 60% of Americans claim they experience sleep issues on a normal basis. That means when you try to “wind-down” before bed by browsing the internet, you’re actually doing more harm than good. By delaying the release of melatonin, it’s going to be more difficult to sleep and the quality of your sleep will be much lower. And it’s not just your sleep that will suffer. Melatonin suppression has also been shown to increase the risk of cancer, impair your immune system, and even lead to type 2 diabetes or heart disease. Most artificial lighting that comes from your fluorescent light bulbs, smart phone, or computer emit an unnatural light. Not only does this lighting destroy your sleep, it also destroys your productivity. For a start, you can replace your everyday light bulbs with full spectrum lights. They are designed to emulate natural lighting so it doesn’t disrupt your circadian rhythm. They are great to put in a desk lamp to boost your work productivity, in your office overhead light, in your kitchen, and especially in any windowless rooms you have. You can even take this to the next level and “hack” your circadian rhythm by installing different spectrum lights for different rooms. You see, during the day, light has a natural blue coloring to it. During sunset, natural light is more orange. Your circadian rhythm responds to these different colors of light. In other words, natural blue lighting can wake you up by giving you a boost of serotonin and natural orange lighting can help you wind down by boosting your melatonin levels. Install a GE Align bulb in a lamp in your bedroom and plug it into an outlet timer. You can then set your lamp to turn on when you’re supposed to wake up. The bulb I linked to emulates natural blue lighting so it will help rev-up your serotonin levels and stop your body from producing melatonin faster than normal. In other words, it will help you feel wake up and feel more energized in the mornings! You can also install blue lights in any rooms that you want to be productive in such as an office, home gym, kitchen, or garage. You will have to experiment with whether you like blue light or full spectrum light for energizing your body. When you’re about to go to bed, draw the shades down and turn on a drift light. This crafty bulb emulates a sunset by emitting an orange light. When you turn it on, it gradually dims to simulate a sunset. If you spend time on your computer at night, install Flux. Flux is an awesome free program that takes your location and adjusts your computer’s lighting as the natural lighting changes outside. As the sun sets, Flux will gradually add an orange hue to your computer’s screen. Unfortunately there isn’t much out there for altering the artificial lighting of T.Vs and your phones. If you really need to use them at night and your serious about improving your energy, consider purchasing a pair of blue-blocking glasses. They will prevent blue-spectrum light from getting to your eyes. While it’s not ideal, it certainly can help. Your environment, be it lighting, the people you’re around, or how Zen your office is, can have a huge impact on your health and overall energy. The environment is, hands-down, one of the most overlooked factors of productivity, health, and mental well-being. And changing your lighting is one of the many ways you can alter your environment to nurture your health. When you switch to lightings that emulate natural light, you help restore the natural balance of your circadian rhythm which, in part, controls the release of serotonin and melatonin. By restoring this balance, you can expect to finally get restful sleep and feel energized throughout the day.